In stock 87 pcs. Also available in our walk-in store. Since fire retardant clothing is The Thing right now some of this stuff has started to find it´s way into the surplus market. 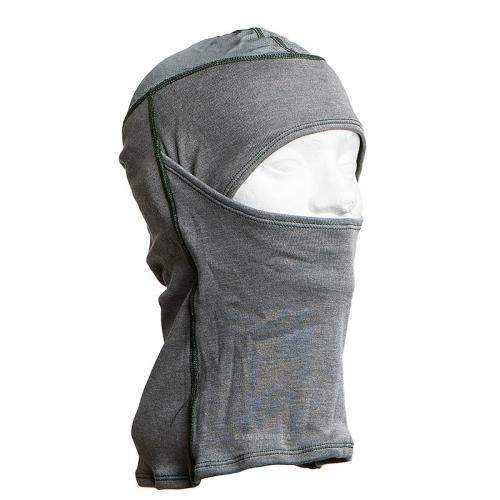 These aramid-wool balaclavas are US Army surplus, a well made piece of headwear, moisture wicking and fire retardant. Perfect for chilly weather, can be used to protect the whole face or rolled up for wear as a cap or rolled down to form a simple neck warmer. Very versatile and well made! And best of all: these are virtually brand spanking new or lightly used! We get this still in their original factory packages, in a "normal" store new stuff like this would probably cost double what we´re asking, this is military surplus at it´s finest. 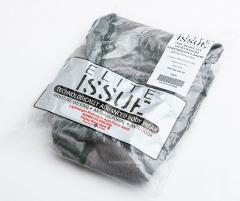 Made by ELITE ISSUE, made in USA. Palamaton, suojaava huppu. Hyvin tehty. Päälaella olevan verkon voi siirtää myös kasvojensa eteen. Sopii fillarikypärän alle, mutta integraalikypärässä rullautuu pään päälle kypärää päähän laittaessa ja saa kypärän tuntumaan siten ahtaalle. Silmälasit eivät kuitenkaan tässä huurru.